Porto’s Palacio de Cristal, or Crystal palace, was once home to Portugal’s very own version of Britain’s London-based construction of the same name. 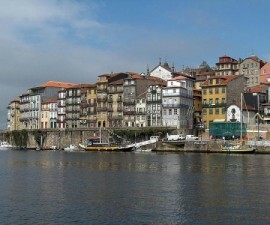 Like the original Crystal Palace, the Porto version did not survive, although it lasted longer than its counterpart, until 1956, when it was replaced by the current construction. 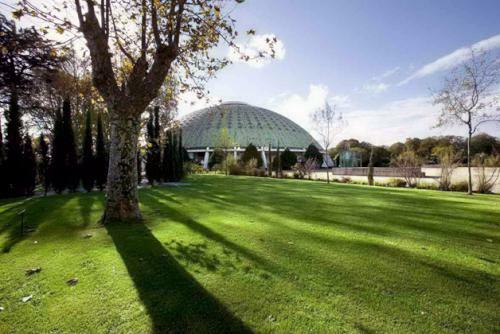 Today a huge domed pavilion, the Pavilhao Rosa Mota, stands on the site, surrounded by the leafy vegetation of the expansive Crystal Palace gardens. 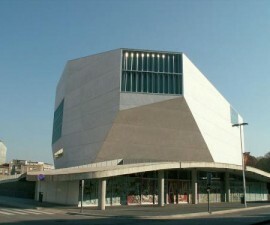 The pavilion itself plays host to important music concerts and sporting events and is home to a permanent multimedia library, auditorium and café. With a seating capacity of 10,000, this is one of Portugal’s leading entertainment venues. The gardens surrounding the structure were originally designed to complement the first crystal palace by Emilio David, a renowned landscape architect. The gardens are a melting pot of exotic trees and plants, fountains, ponds, statues, animals such as strutting peacocks, walkways, mirrors, chapels, viewpoints, and tree-lined avenues. Some of the most popular flora includes rhododendrons, camellias, pines, ginkgos, and lime trees. There are also several themed gardens including the Jardim dos Sentimentos (garden of feelings), Jardim das Plantas Aromaticas (garden of aromatic plants), Jardim do Roseiral (garden of roses) and the Quinta da Macieirinha (little apple tree estate). The gardens of the Palacio de Cristal are as popular with the Porto locals as they are with visitors to this corner of Portugal. The expansive greenery is a place for relaxation and exploration and a favourite picnic spot with families, couples and groups. Children are well taken care of, with plenty of room to stretch their legs and several park installations to keep them occupied. The Pavilhao Rosa Mota dominates the skyline across the gardens of the Palacio de Cristal, however there is plenty more here besides the dome and the surrounding greenery. 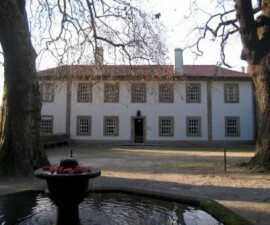 The Romantic Museum, set within the Quinta da Macieirinha, is a destination in its own right. This 19th-century mansion has been renovated and decorated in keeping with the style of the bourgeoisie and provides a fascinating insight into the lifestyle and culture of the late 1800s. Highlights include the Canvases Room, with its huge painted canvases depicting scenes of Romantic ruins. The house was home to Carlos Alberto, the King of Piedmont and Sardinia, during his last days in exile in Porto, and the Kings Room, where he received his guests, is a fine example of high-quality furnishing and decoration of the time. 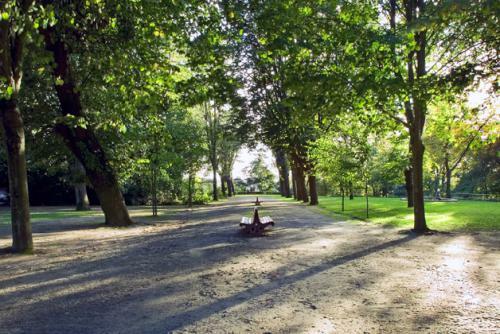 The park covers an area of more than eight acres in total and makes the perfect destination for an escape from the hustle and bustle of the city centre. Take the time to explore off the beaten track and you will come across a series of interesting chapels, including the chapel of Charles Albert of Sardinia and that of Princess Montleart, the sister of King Albert Charles.